Inter Milan are supposedly preparing to take to the field in a dashing one-off kit when they play AC Milan in the derby in mid-March. 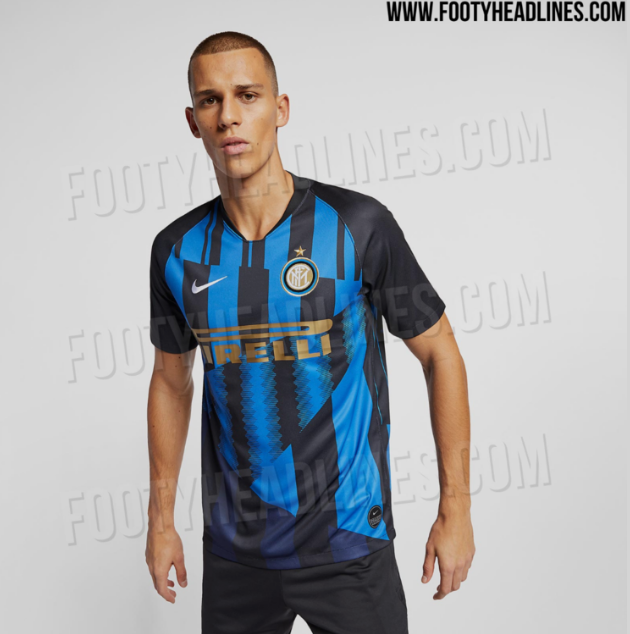 According to Corriere dello Sport, the Nerazzurri will wear a special “mash-up” strip – a spliced collage of home shirts from the 1990s to the present day – to celebrate the 20th anniversary of the club’s partnership with Nike. Inter first signed up with Nike in 1998 in a strange season of split loyalties that saw them wearing Nike strips in domestic competition while continuing to wear Umbro strips in Europe. Since then, Nike have been firmly in control, pumping out numerous variations of the famous blue and black stripes. Fans will be able to see them all (or at least swatches of most of them) in one place when Inter take on their dearly beloved neighbours at the Giuseppe Meazza on Sunday, 17th March.